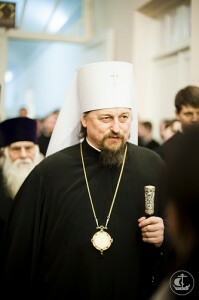 The following interview with His Eminence, Metropolitan John (Popov) of Belgorod and Stary Oskol, chairman of the Synodal Missionary Department, was conducted during his visit to the St. Petersburg Theological Academy on December 10, 2012. Vladyka, Bless! Please tell us about your student years at the St. Petersburg Theological Academy. May God’s blessing be here upon all administrators, teachers, and students! If I am to speak briefly about my years studying in the seminary and academy, I would like to say that in those years – the beginning, middle, and end of the 1980s – the attitude of the Soviet authorities towards our academy and seminary varied. But, at the same time, a kind of breakthrough began to take place when permission was granted to admit students who were graduates of institutions of higher learning. I was among such graduates; I entered seminary in the second-year class. My years of study were years of revelation for me. After finishing university, and while studying in graduate school, I became familiar with secular institutions of learning and even taught in them. What the seminary teachers had to offer differed from secular approaches. Above all, there was enormous respect for the word, responsibility for what you said, and the necessity of understanding the concepts that you employed. I recall how, if you did not know a certain word, the teachers could send you to the library so that the student could return and tell its exact meaning to the entire class. Verbiage was not permitted. If one considers that there was a great deal of verbiage in Soviet education, in which ideological tenets were more important than academic approaches, the seminary trained people who were able to perceive the word as life-giving and active, and not simply as some rattling of the air. Therefore my years of study were years of education and the formation of my basic attitudes towards everything that happens by grasping its essence. This was very important for me as someone, I repeat, who had experience of secular institutions of learning and had taught in an institute. Vladyka, today you led the Divine Liturgy, praying alongside the Rector, Bishop Ambrose, and the clergy, both teachers and students. His Grace, the Rector, gave you a tour. What changes have you noticed in the academy compared to when you were studying here? I would like to rejoice that the best modern methods are being used in the teaching process, while the technical facilities correspond to the task at hand. In this sense, the academy is in step with the times. I like the source-study approach, that is, not simply consuming information, but tracking down sources of information. With our abundant information today, one needs to be able to orientate oneself correctly and track down both the truth and information about one phenomenon or another. In this sense, I think the academy is doing everything it can to teach people not simply to be consumers of information, but also to be discerning, following the words of the Apostle John: believe not every spirit, but try the spirits whether they are of God (1 John 4:1). This is gratifying to see today within the walls of the St. Petersburg Theological Academy. Vladyka, you are Rector of the Belgorod Theological Seminary, which has a missionary orientation. Are there differences in the educational program in your seminary? What approaches do you use in training future missionaries? Of course, there are differences. Alongside the standards that are now accepted (we are undergoing an accreditation process in obtaining the bachelor’s degree and we must meet the proposed standards for theological studies), we also have our own special features that are connected with the fact that the seminary prepares missionaries. 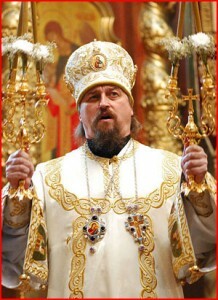 For instance, while studying in seminary, practically all seminarians take part in practicums in remote dioceses of the Russian Orthodox Church. Sometimes this is the near or far abroad. The seminarians take part in these missionary practicums on the basis of standards of missionary practice that we have established. We are fulfilling the blessing of the hierarchy – His Holiness the Patriarch and the Council of Bishops – that states that modern theological education needs to have a missionary character. And this missionary character should be dominant. Therefore, we strive to extend the range of our disciplines by means of acquainting our students with the achievements of social psychology. There is a specific group of disciplines related to conflict resolution. There is also ethnographic knowledge, which today is essential. These modern methods and the achievements of ethnography are there to help our students achieve better enculturation, that is, immersion in the culture of the peoples among whom they will carry out their mission.We strive to ensure that our students will have not only theoretical skills, but also practical ones. 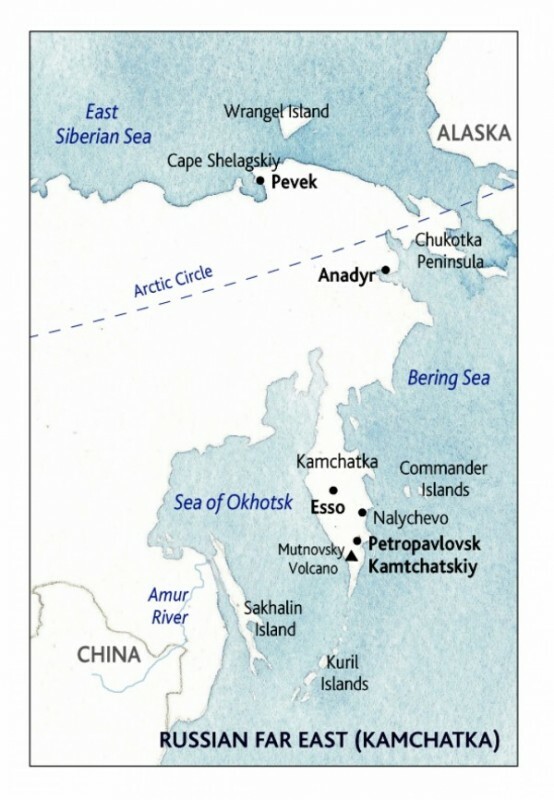 Here questions of survival arise: we send students to Chukotka and Kamchatka, where during the winter they sometimes need to travel by dogsled. There are other communication skills with the local population that require being in good physical shape. We have a very good facility for the physical training of our students. This is also very important. I remember that when we studied here we played soccer in the park with students from the institute of physical education. Sometimes we won, sometimes they did. Nonetheless, we did not have the opportunity to engage in normal physical education. If we do not take these factors into consideration, it will affect the mental state of the students, so we try to take all of this into account. Who, in your opinion, is in greater need of mission: the inhabitants of remote settlements or the inhabitants of big cities? We are talking about the Gospel, about how it should be preached to the ends of the earth. What are the “ends of the earth”? It is wherever the Gospel has not been preached. This does not depend on where you are going to live: whether in Chukotka or Kamchatka, or in the middle of Moscow or St. Petersburg. The end of the earth is wherever the human heart has not accepted the Gospel or accepted Christ. Preaching the Good News is impossible without personal example. Both pastors and parish communities can provide this example. Creating a friendly and close-knit community is not always easy. What advice could you give to young pastors in this regard? How should one build one’s pastoral life and how should one create a parish? First, pastors should not begin by imposing grievous burdens on their flocks. The most common mistake of young pastors is that they immediately begin with extravagant demands. They should apply these demands first of all to themselves. Next, one needs to talk to people in plain language and try to ensure that they really be parishioners, and not simply people who come only on major feast days without taking part in the life of the community. A community is created when every member has a given mandate, which we call a missionary mandate. The more of these mandates there are, the greater the engagement will be of the members of the community in the social, missionary, and catechetical work of the Church as a whole, and the stronger this community will become. It is very important that the rector properly organize the procedure for adopting certain decisions. Today one cannot be guided by the principle of “I’m the rector and I know better than the rest of the community what needs to be done.” One needs to accustom people to participate in the procedure for adopting decisions, to hold meetings more often, to consult with people more often about what needs to be done, about when the church needs to be repaired, and so on. Then people will be informed of what is going on. Otherwise that division between the initiated and the profane will arise that often exists in parishes. There won’t be a community, but only a church building in which divine services are performed, with a community as such existing only during the celebration of the Divine Liturgy or other services, but absent outside the church building. Under modern conditions it is essential that people be more active, and this is the concern and primary task of pastors. Vladyka, whom among our contemporaries would you call worthy missionaries whose examples are worth emulating? There are very many ascetic strugglers about whom we do not talk and who will never be shown on television. Such strugglers serve in the hinterlands. For instance, I know of some of my own students who went on a practicum to one diocese or another, and later stayed there and built churches as priests, serving among people who had never seen a priest. There are hundreds of such examples. It is important that we who are preparing for missionary work enrich ourselves through the example of previous missionaries, such as St. Innocent (Veniaminov), by reading his work Indication of the Way to the Kingdom of Heaven, a magnificent work that was written in Aleut and later translated into Russian, going through countless editions before the Revolution. Or read Admonitions to a Missionary by Archimandrite Macarius (Glukharev). This is all essential for us to gain an understanding of what missionary work is. For instance, the diaries of St. Nicholas of Japan are a mine of information for communicating with people. Sometimes it seems to us that people have changed. Of course, they have changed: perhaps they have become less sensitive to the pain of others, less friendly, or selfishness has increased. But man has not changed essentially: he is the image and likeness of God. Therefore the legacy of previous missionaries is very important for us. One cannot say that because we use new methods in our modern circumstances – preaching at large concerts, participating in sporting events or motor rallies, and so forth – that mission has changed. Man, whom we are addressing, has not changed: he is the image and likeness of God. It is another thing when his abilities and talents appear not to be in demand in our society. We need to see them and develop them in him. This needs to be done on the firm foundation of the missionary activity of previous generations. Vladyka, what would you recommend that current students in theological schools focus on as they stand on the threshold of their pastoral ministry in today’s world? First, that they would lower the demands they are imposing on the conditions of their ministry. When we were beginning our ministry the Soviet environment was quite aggressive and permitting nothing. Now there are very many temptations of this world, which often lie like a heavy stone on inexperienced souls. This stone, which is called excessive consumption and the urge for enrichment, today weighs down the legs of pastors preparing to preach. Therefore, accustom yourself to asceticism. In general, the modern world is in need of an ascetic presence in all things. Today we need to preach this. This does not mean the rejection of all technological advances and all goods. It means the commensurability of what man needs for sustaining life with the ultimate goal of our human life: communion with God and deification. This is the most important principle.